One hour group classes are limited to 3 students. You'll be actually skiing for a half hour, divided into three ten-minute sessions - equal to a whole day on the mountain! One hour private lesson. Just YOU, one-on-one with your instructor! You'll be actually skiing for a half hour, divided into three ten-minute sessions - equal to a whole day on the mountain! One hour group classes are limited to 3 students. They will be actually skiing for a half hour, divided into three ten-minute sessions - equal to a whole day on the mountain! One hour private lesson. Just YOUR CHILD, one-on-one with their instructor! 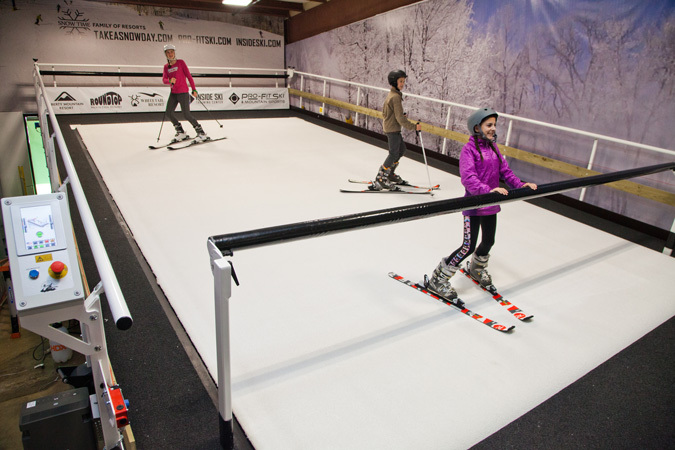 They'll be actually skiing for a half hour, divided into three ten-minute sessions - equal to a whole day on the mountain! 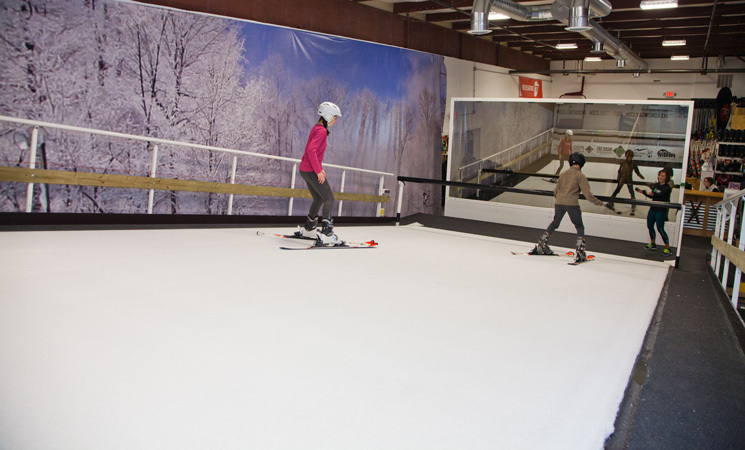 *1-hour slope rental is for up to 6 skiers or snowboarders. All skiers or riders require a previous lesson on the slope. 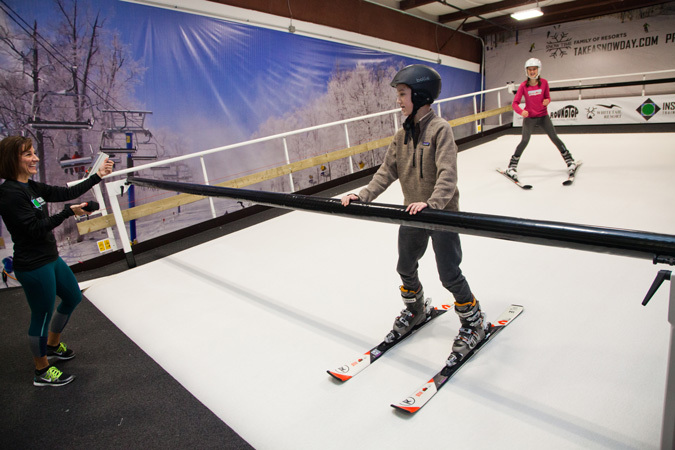 **All skiers or riders require a previous lesson on the slope. Call or e-mail to make a reservation. Please arrive 15 minutes prior to the start of the lesson for paperwork and equipment setup. Late arrivals must reschedule the lesson. Do I bring my own gear? We have all the equipment you need at no extra cost. Bring your own boots and helmet if you have them. Ski or bike helmets are acceptable. Please bring a pair of long socks and wear lightweight long pants and a long sleeve t-shirt. We recommend that you wear something comfortable and loose fitting. Lesson cancellations must be done 24 hours in advance. Can I share my package lessons? No packages may not be shared. All of our instructors are PSIA or AASI ski and snowboard instructors that also work at either Liberty or Whitetail ski resorts. 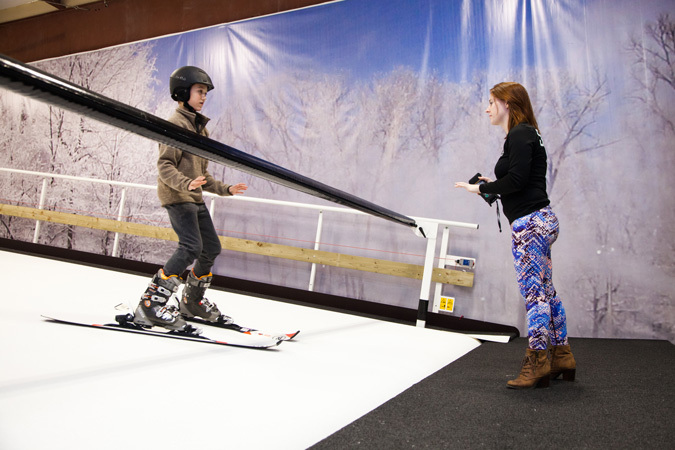 Everything you learn on our slopes is going to translate seamlessly to the outdoor slopes. Will I get hurt if I fall down? The instructor carries a hand-held remote at all times and can stop the slope at any time. Generally, the instructor will stop the slope before you even fall. The surface is made of soft nylon fibers, it's not like falling on ice and is not cold! We recommend wearing long pants or leggings to protect your legs should you fall.